People in Scotland are concerned about climate change and strongly support greater action across a range of sectors to tackle it, polling has revealed today. The survey carried out for Stop Climate Chaos Scotland by YouGov comes as the world’s leading climate scientists – the UN’s Intergovernmental Panel on Climate Change (IPCC) – gather in Edinburgh this week. The IPCC delivered last year’s landmark warning about the urgent need to rapidly change our economies and societies to avoid increased warning. The IPCC’s visit comes as MSPs prepare to debate the Scottish Government’s Climate Bill for the first time on Tuesday 2 April. The Bill has been heavily criticised for failing to significantly increase ambition in the crucial period between now and 2030. 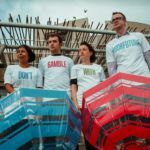 Ahead of the debate, climate activists will hold a “Running out of time” themed rally outside Scottish Parliament. 70% of respondents support Scotland taking greater action in transport, food and homes to tackle climate change. “Climate change will do irreversible damage to our planet if we don’t do more to tackle it now. This new polling shows that people in Scotland recognise the seriousness of the situation and want more action to reduce greenhouse gas emissions. “Last year, UN climate scientists published a landmark report which highlighted the alarming rate at which our climate is changing. That report underlined that if levels of emissions continue at current rates, the risks posed to people and the planet would be truly catastrophic. “Climate change is already starting to impact on wildlife in Scotland and the IPCC have identified climate change as one of the biggest threats to wildlife right across the world. However, it is very encouraging that so many Scots are both concerned about the threat of climate change to wildlife and would also support more action in Scotland to tackle climate change. The 2018 report by the IPCC found that limiting global warming to 1.5°C would require “rapid and far-reaching” transitions in land, energy, industry, buildings, transport, and cities. 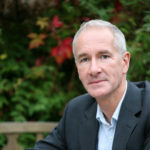 Professor Jim Skea, current co-chair of Working Group III of the Intergovernmental Panel on Climate Change, gave evidence to the Scottish Parliament’s Environment Committee on the Climate Bill. All figures, unless otherwise stated, are from YouGov Plc. Total sample size was 1,029 adults. Fieldwork was undertaken between 21st – 25th March 2019. The survey was carried out online. The figures have been weighted and are representative of all Scottish adults (aged 18+). Polling results are available here. Details of the IPCC visit to Edinburgh are here. IPCC Special Report on Global Warming of 1.5°C: Limiting global warming to 1.5°C would require rapid, far- reaching and unprecedented changes in all aspects of society. Read the report here. Scottish Parliament will hold a Stage 1 Debate: Climate Change (Emissions Reduction Targets) (Scotland) Bill on Tuesday 2nd April 2019. Stop Climate Chaos Scotland will stage a Climate Rally and photo stunt outside the Parliament on Tuesday 2nd April from 12.30-2pm.